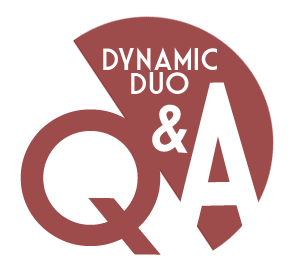 Dynamic Duo: Ask Us Anything! aww so finally you both are going out together since for a long time! so the question from me is: "I was wondering, where did you both meet for the first time? how and first impression from each other?" sorry for the long quest, haha! YAY! Hahaha I've been waiting for this for a long time >:) Evil face necessary. My question is, how do you both decide what your "item" will be for your Dynamic Duo posts? How do you both stay so awesome? Are there any rommates involved in any of your lives?